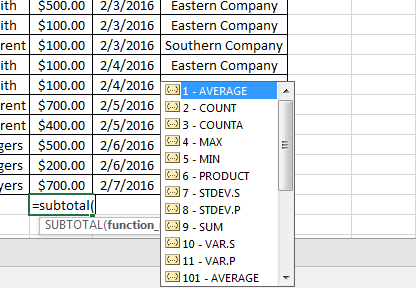 Excel offers a variety of ways to perform date calculations. In part 1 of this series, we showed you how to find the difference between dates. 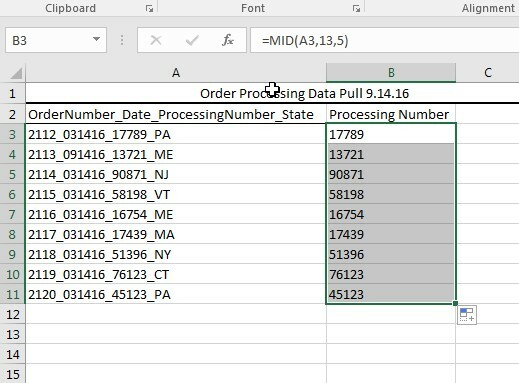 In this week’s post, we cover setting sequential dates in Excel. Sheryl is getting ready to perform her annual budget. Her job pays her every two weeks. As a result, 10 months of the year, she receives two paychecks, but there are two months where she ends up with three paychecks. She wants to find each payday in the upcoming year and highlight the months where she will receive three checks. 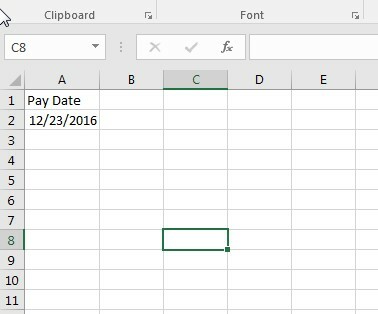 In the example, we see that Excel automatically finds the date 14 days from the original date input. In copying the formula across it populates each date two weeks apart. We at Learn Excel Now hope you now feel confident setting sequential dates in Excel. This process can be used for a variety of business and personal situations. 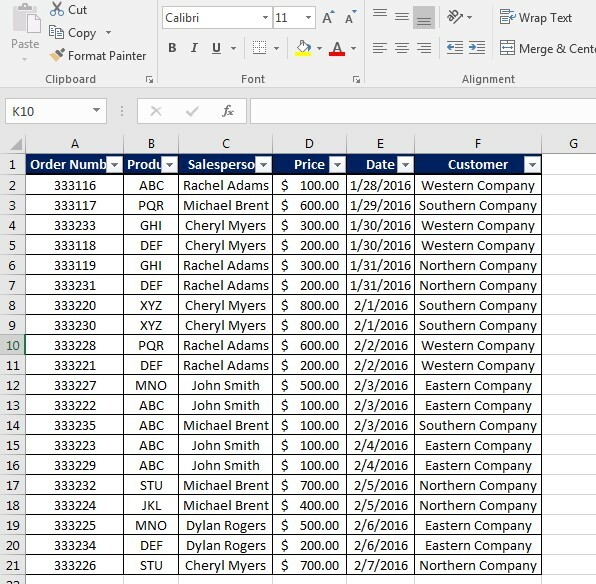 Excel has several built-in date functions you can use to quickly find important information. These are known as Excel date calculations. Today, we will focus on how to find the difference, in number of days, between two different dates. We will also cover how to find a date based on number of days from a given date. Here, we have the due date and the current date. To enter the current date into your spreadsheet, you will use the formula =TODAY(). It will autofill with today’s date. 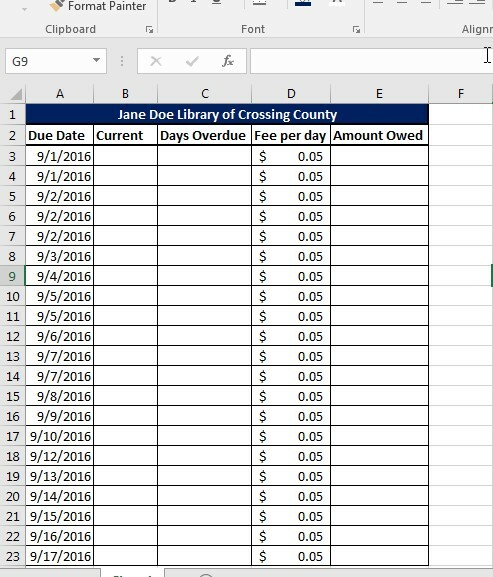 As you can see, Excel makes it easy to find the exact number of days and then calculate the amount owed. This process involves first finding the number of days and then separately finding the amount due. But you can also build the date calculation right into the fee calculation. You will use the parenthesis to indicate which function you want performed first (always remember: Excel operates on the Order of Operations). 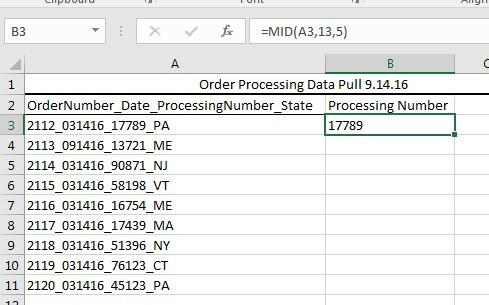 This is how you use Excel to find the number of days between two dates or vice versa. Next week, we will cover additional date functions you will want to know. We hope you found today’s lesson on Excel date calculations useful. In last week’s post, we covered how to use Trace Precedents to find and resolve formula errors. In this week’s follow up, we cover how to use trace dependents to see which formulas use the data contained in a particular cell. 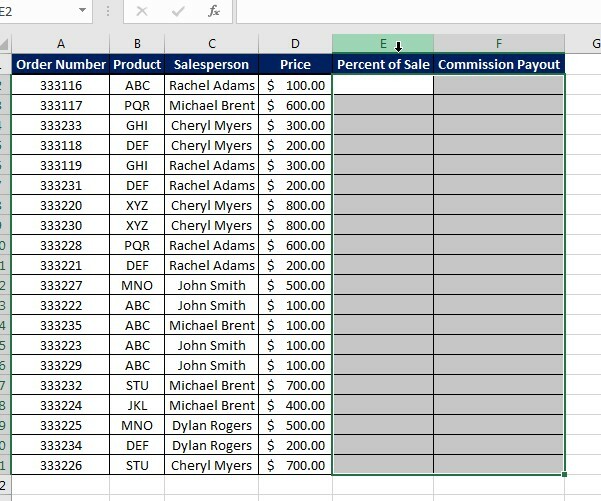 The commission rate was set to 5% for sales over $500. Her boss wants to increase the rate to 6%. 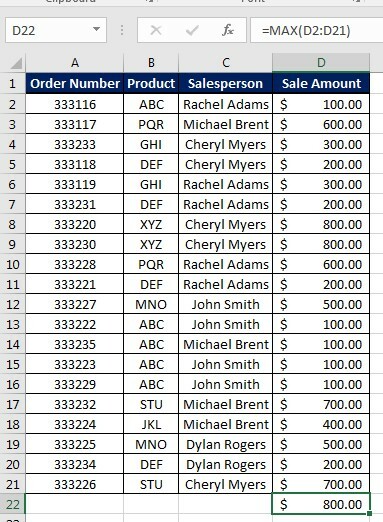 She has two tasks: identify which sales will be affected by the increase and how many sales are over $500. There are a number of ways Donna can find the data she needs. She could manually count the sales columns. She could use a lookup function. However, she prefers to have a clear visual to show which ones are the important ones. We at Learn Excel Now hope you feel confident using Trace Dependents now. There are many times and reasons this tool will come in handy. 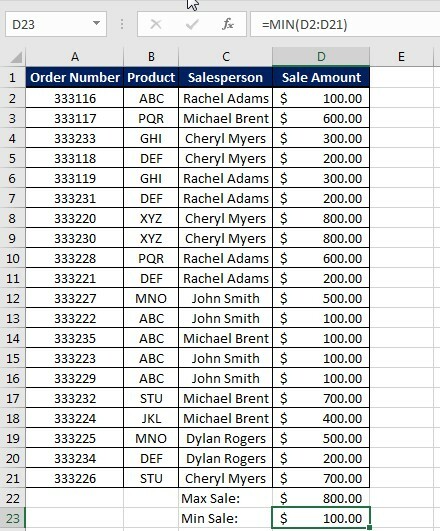 There are far too many Excel functions for one person to learn, but there are essential functions every user should know. The MAX and MIN functions are two such functions. The MAX function allows you to find the highest number in given range. The MIN function does the opposite, providing you with the lowest number in a defined range. This quick tutorial will cover the basics on how to apply both functions. Let’s say you had this sales table and your manager wanted you to find the highest sale and lowest sale over a given time period. Using the example above, it might actually be easy to eye it up because there are only 20 rows of data. 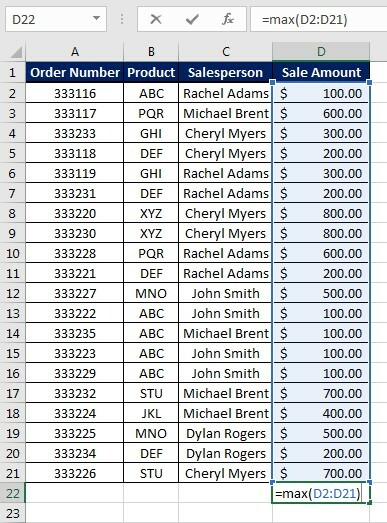 But in a real sales spreadsheet, it could range hundreds or thousands of rows. In addition to SUM, IF statements and VLOOKUP, the MAX and MIN functions are the most essential functions in Excel. We at Learn Excel Now hope you now feel confident in applying these functions to your everyday Excel use. Excel offers a variety of different formulas and functions for everyday use. This week, we will focus on the MID function. This function allows you to isolate a sub-string of data within a larger string in a new cell. The syntax is simple and straightforward, making it an ideal function for quick tasks. There are many reasons and ways you will use the MID function. Today’s example comes directly from a Learn Excel Now fan who emailed us with an issue he was having. Yes, Brian, we are here to help. Let’s explore how the MID function can be used to help your task. Simply put, this is saying: pull the data out of this range (text), starting on character (Start_Number) going this many characters after it (Number of Characters). IMPORTANT: In this example, each line has same the number of characters. So, you can copy and paste all the way down, however, for lines with different numbers of characters, you will need to count to the starting and end points individually. For Brian, using the MID function will save a ton of time and ensure accuracy. We at Learn Excel Now hope you found this week’s tip on the MID function useful. There are many times this will come in handy, you just have to recognize the opportunity! In this week’s IF statement series, we are covering Nested IF Statements. This convenient formula allows you to return values based on multiple logic tests built into – or nested – in the formula itself. We will explore several uses of nested IF statements in demonstrations below. When you write a nested IF statement, you are essentially saying “If true, do this, if true, do this, if true, do this…if false, then do you this.” You can nest up to seven IF criteria within the formula. Notice: For each new IF statement, you open a new parenthesis, however, the parenthesis closing all come at the end of the formula. There are many reasons to use nested IF statements and you will have to determine the best situations to employ them. 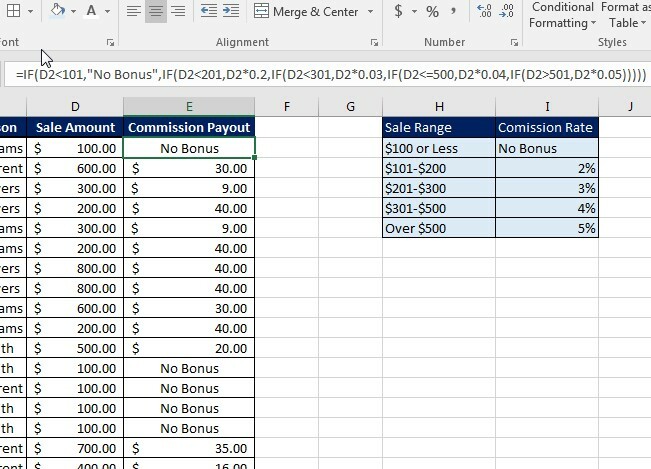 For the purposes of demonstration, we will use nested IF statements to calculate commission rates based on a sliding scale and salary increases based on years of service. If you remember our Simple IF Statements from last week, we used a single IF condition to return a flat bonus rate or determine No Bonus. But, what if there is a sliding scale? 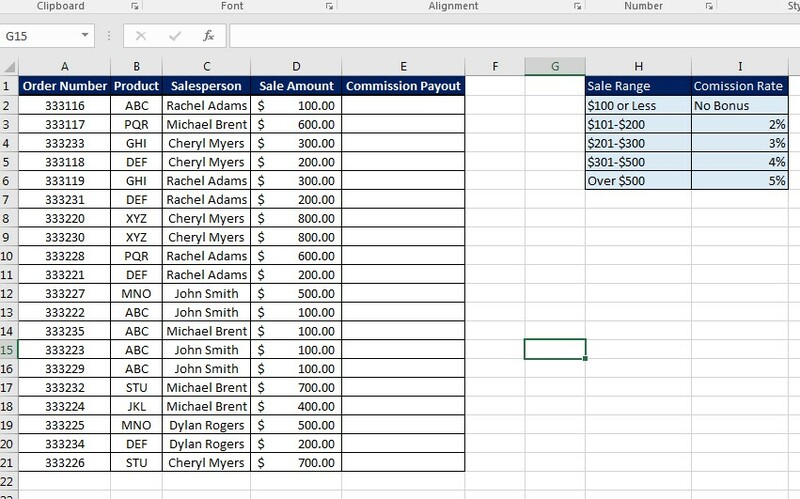 By nesting several IF statements together, you can create a dynamic formula that returns the commission amount based on a sliding scale. Here, what you are saying is: IF the amount in column D is less than 101, return the value No Bonus, IF it’s less than 201, times the amount by 2% (0.02), IF less than 301, times it by 3%, IF less than or equal to 500, times it by 4%, and if it’s greater than 501, times it by 5%. 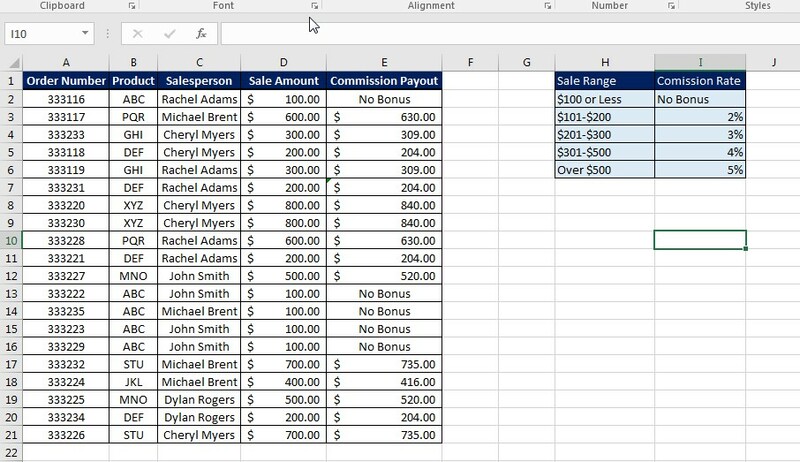 As you can see, it automatically calculates the commission payout based on the range of the sale amount. Here we have a similar issue. We can see the employee list, their current salary and years employed. We have a table that shows what percentage their salary should increase based on length of employment. As you can see, there are a variety of ways and reasons to use nested IF statements. We here at Learn Excel Now hope you know feel comfortable applying these functions in your spreadsheets. In Part 2 (get Part 1 Here) of our IF Statement series, we are discussing simple IF statements. These are the basic formulas for returning a values based on your (the user’s) criteria. These functions can be used for a variety of purposes and the examples below explore some of the potential uses of IF statements. IF Statements are logical functions in Excel. When you define the criteria for the statement, you are essentially saying, IF the defined condition is true, then return this value, otherwise (if false) return this value. As you use Excel, you might come across various instances where IF statements will be useful. Below are two examples based on real-world issues where these functions come in handy. 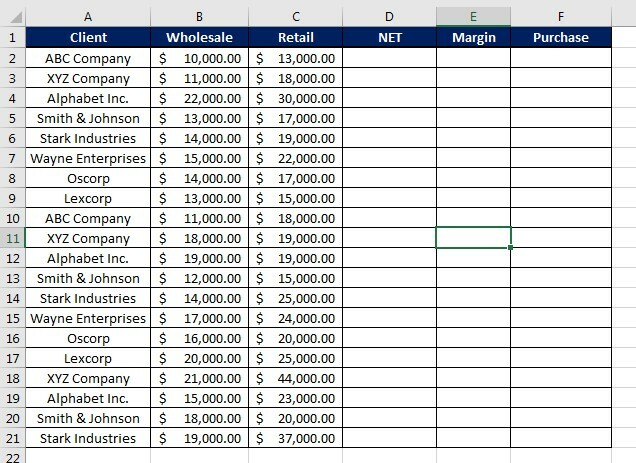 Highlight both cells and use the fill handle to drag the Net amount and Margin percentage all the way down. Now, at this point, you could manually enter Purchase or No by eyeing up the margin percentage to see if it’s greater or equal to 30%. But you can save time and ensure accuracy by using an IF Statement. What this formula states is “If the value in column E is greater than (>) or equal to (=) 30%, then return the value Purchase. If not, return the value NO. Once the formula is entered, you can again use the fill handle to drag it all the way down. Your job is find the commission rate of 5%. For any sale over $300, the salesperson receives the 5% sales commission bonus. Otherwise, they don’t get a bonus. As you can see, there are a variety of uses for IF statements. It really depends on what you need to use Excel for. Coming next week: Nested IF Statements! 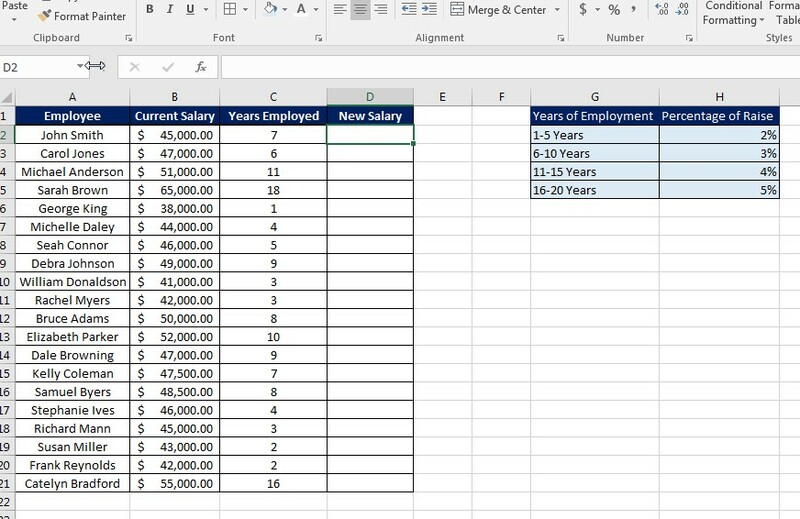 Excel has many ways to calculate data. If you know the right formulas and functions, you can find out just about anything you want to know about your data. 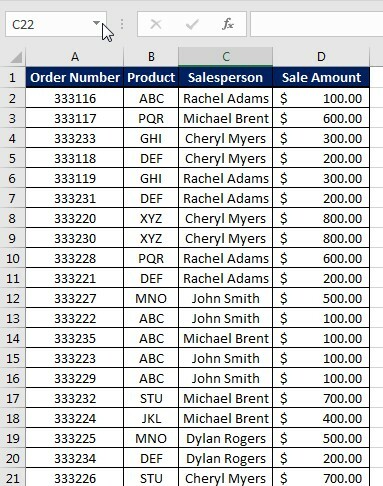 Today’s lesson is on using the subtotal formula to find various totals based on the filter option in Excel. 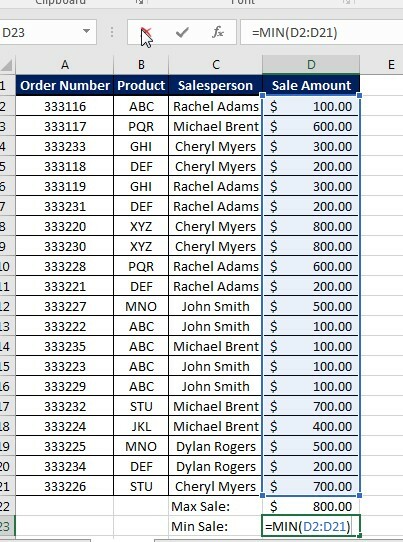 As you can see, the Subtotal formula lets you find totals by Salesperson, Client, Product, etc. quickly and easily. And the total changes with the information you select. 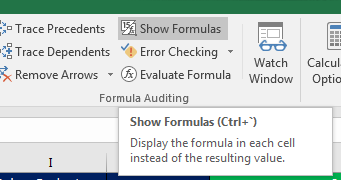 We here at Learn Excel Now hope you found today’s tip on how to calculate a subtotal useful.